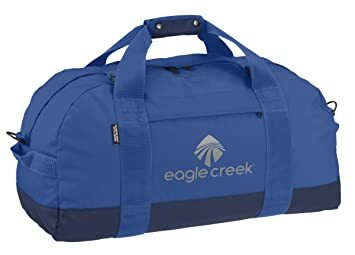 Not only named after, but also covered by Eagle Creek’s No Matter What Warranty, the Flatbed Duffel 22 is built with ultimate durability. With travel-tested handle system, oversized wheels, and Bi-Tech fabrics, this bag is ready for adventure. Carry-on sized. Built to the highest standard for only the biggest adventures, the orv trunk sports bi-tech fabrics for maximum water and abrasion resistance. Equipment keeper to secure gear to the top of bag, expandable wet/dry compartment, and porter key bottle opener. It’s the gear bag by which all others are measured. 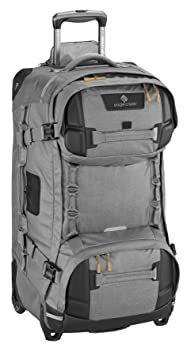 A top-load and center-access backpack that covert to a full-size duffel bag? That’s right. And in its conversion, you’ve got 15 percent more capacity. We think a day bag should be as adaptable as your itinerary. Ultra-light. Ultra-durable. 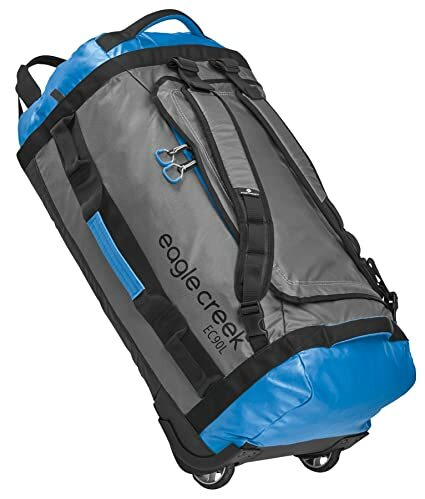 When activities dominate, these bags offer maximum durability and a lightweight carry. Pair that with lash points, Equipment Keeper, and expandability, and you can bring all the gear you want. 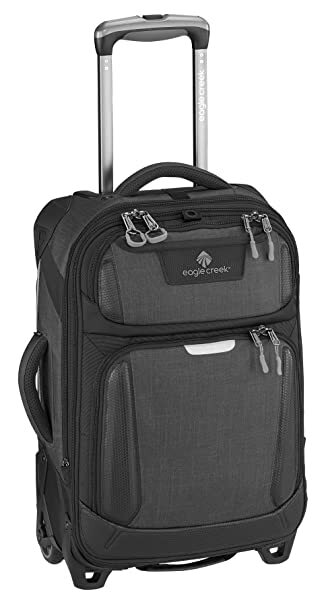 Eagle Creek Tarmac AWD Carry-On, 22-inch. 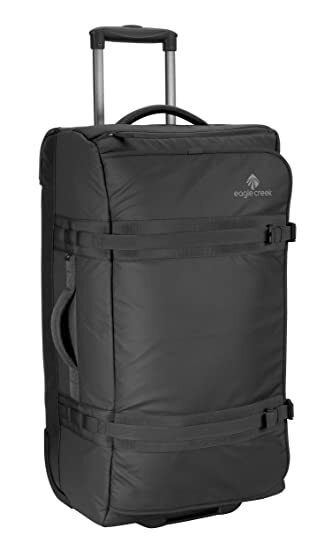 This rollable carry-on suitcase has four all wheel drive wheels and is built strong to tackle any adventure. 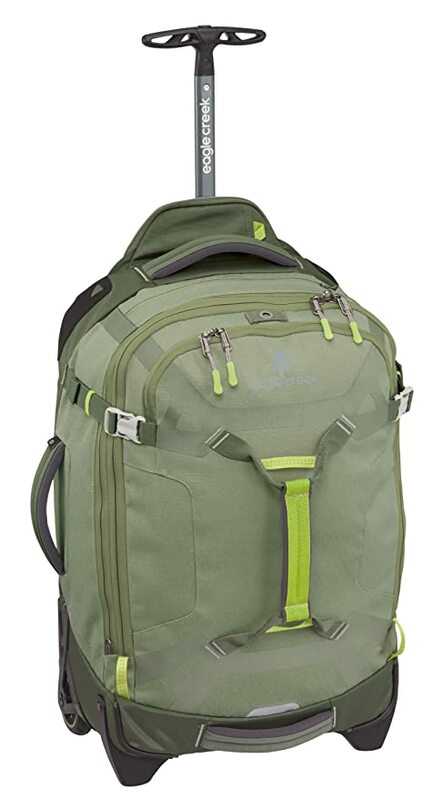 This is the ultimate bag in an ultra-light package, built for security and durability. FEATURES: Compression Zipper. 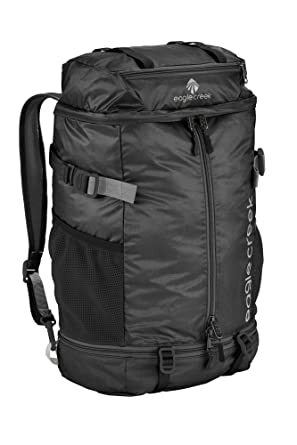 Expansion zipper increases main compartment size by 15, and then compresses when it’s time to travel. Four Wheels. The 4 ultra-durable wheels spin 360-degrees for effortless multi-directional movement. Durability. Lightweight polycarbonate shell gives it a high strength to weight ratio and exterior lockable zippers with finger pullsprovide security. Packing.Padded laptop sleeve and interal compression straps allow you to be organized and efficient while you travel. Dimensions. 13.75 x 22 x 9 in (compressed) | 13.75 x 22 x 11 in (expanded). WHY EAGLE CREEK? Eagle Creek is a global tribe of travelers committed to preserving and protecting the places we live, work and travel. From community partnerships to sustainable materials and solutions designed to last a lifetime, were on a mission to unlock new ways to positively impact the cultures, environments and planet for future generations to discover. We’ve been around for more than 40 years and, from city parks to exotic destinations, we take pride in equipping you with versatile gear to take you beyond your fears and outside your comfort zone. 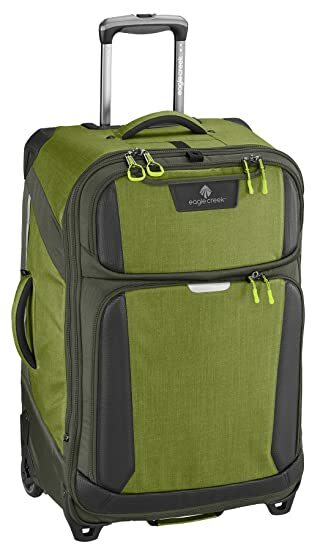 The tarmac awd carry-on boasts of four all wheel drive wheels for effortless mobility with a sleek ultra-light, ultra-durable bayer polycarbonate shell. Plus, #10 lockable puncture-resistant zippers for security, laptop and tablet sleeves inside the main, and coat keeper to secure outerwear to the top of the bag. 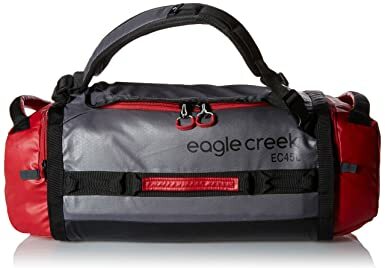 Not only named after, but also covered by Eagle Creek’s No Matter What Warranty, the Flatbed Duffel 28 is built with ultimate durability and water-resistant. Travel-tested handle system, oversized wheels, and Bi-Tech fabrics. What more can we say? It’s a big bag, and ready for only the biggest adventures. Tarmac 29 was built extremely durable to handle the abuses of travel and unplanned wet weather. 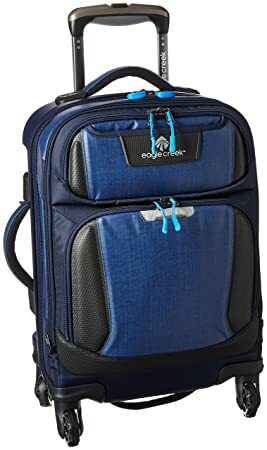 With maximum packing capacity and additional expansion, plus puncture-resistant #10 lockable zippers for security, and an innovative coat keeper with porter key bottle opener to secure a jacket top of the bag. Eagle Creek Load Warrior 22 Inch Carry-On Luggage The Load Warrior is built strong to tackle any adventure. 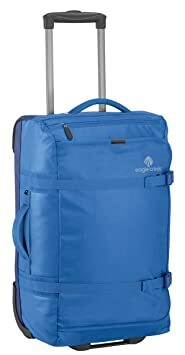 This is the ultimate carry on bag in an ultra-light package, built for maximum activity and durability. FEATURES: Reliable. Exo-Skeleton strengthens wear points for maximum abrasion resistance and corners are reinforced with hypalon material to prevent fraying, while ripstop and ballistic fabrics create a water repellent exterior. Organized. Compartment on top of bag is great for quick grab items, plus large pocket can act as a laundry shoot or be used to separate gear from clothes. Compression straps inside secure contents and keep clothing wrinkle free. Easy And Safe. Oversized wheels are in a protective wheel housing for smooth mobility to maneuver over unpaved, muddy, or bumpy surfaces. Finger-friendly zipper pulls so you can grab them even with gloves on. Reflective accents ensure you stay safe and visible in the dark Gear Bag. 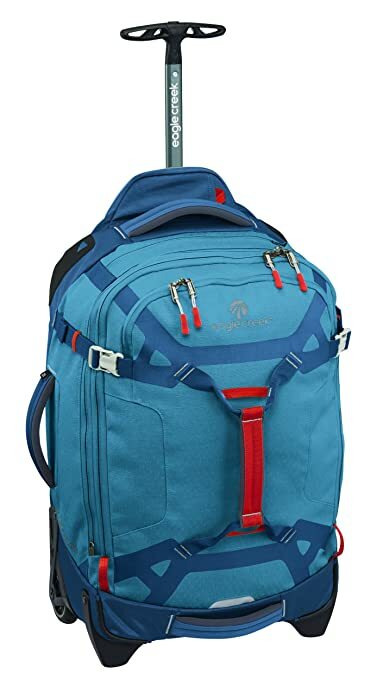 Equipment Keeper can be used to strap gear to the top of the bag. Multiple haul handles and exterior compression straps keep your gear secure. Warranty. No Matter What Warranty includes the Lifetime Warranty promise and repair or replacement due to product failure during product lifetime, regardless of the cause. WHY EAGLE CREEK? 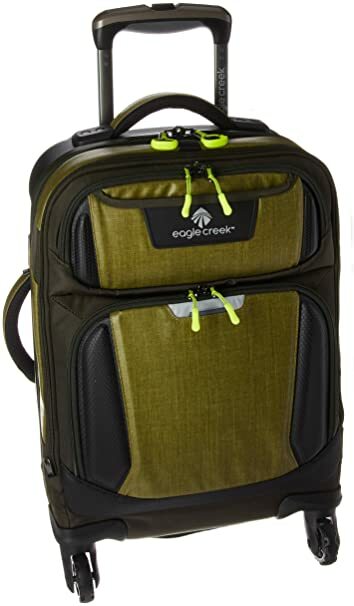 Eagle Creek is a global tribe of travelers committed to preserving and protecting the places we live, work and travel. From community partnerships to sustainable materials and solutions designed to last a lifetime, were on a mission to unlock new ways to positively impact the cultures, environments and planet for future generations to discover. We’ve been around for more than 40 years and, from city parks to exotic destinations, we take pride in equipping you with versatile gear to take you beyond your fears and outside your comfort zone. Ultra-light and constructed with leading-edge Bi-Tech Armor Lite, Cargo Haulers are equipped with gear pockets, grab handles, and tie-down daisy chains. Built resilient for big adventures, they are just itching to hit the backroads. This is the consummate duffel, the duffel to which all others are measured. And its now available with the extra durability and protection of Bi-Tech fabric. The best just makes sense.